Welcome to A.E.Y. 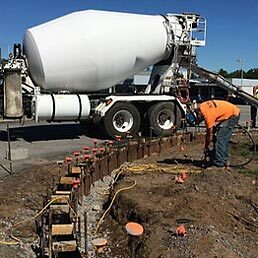 Enterprises, Inc. Our dedicated team of professionals have been serving the site development needs of the Greater Rochester area since 1989. Our approach is simple and can be found in our mission statement; A.E.Y. Enterprises is committed to the service and satisfaction of our customers. We believe that these fundamentals can best be obtained through strong communication and understanding. We strive to work towards these goals for the benefit of our customers, employees and owners. 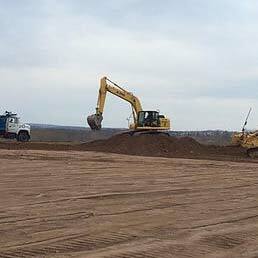 Everything from mass earth moving to fine grade and detailed shaping, our Site Development Division has the skill to handle any size. 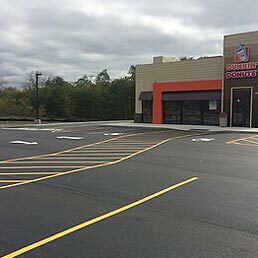 Our Paving Division is a complete “one stop shop” that specializes in commercial and residential paving. Our Masonry Division offers a wide range of masonry and concrete services in both commercial and residential construction. We offer services in interior/exterior masonry and stonework from a skillful team to create a beautiful new installation and the capability to restore life to aging stonework that you value. The paving division installs and repairs a vast array of asphalt projects from roadways and parking lots, to parking spots and patchwork.